Most of the iTunes users are looking for an alternative to access iPhone files on computer as iTunes is very complicated to figure it out. This article will focus on throwing light on the steps involved. It also explains the steps by which one can move data using iTunes or iCloud along with the drawback of these methods. Without iTunes to access iPhone on computer, you can consider the iMyFone TunesMate iPhone Manager which is the ultimate alternative to iTunes. 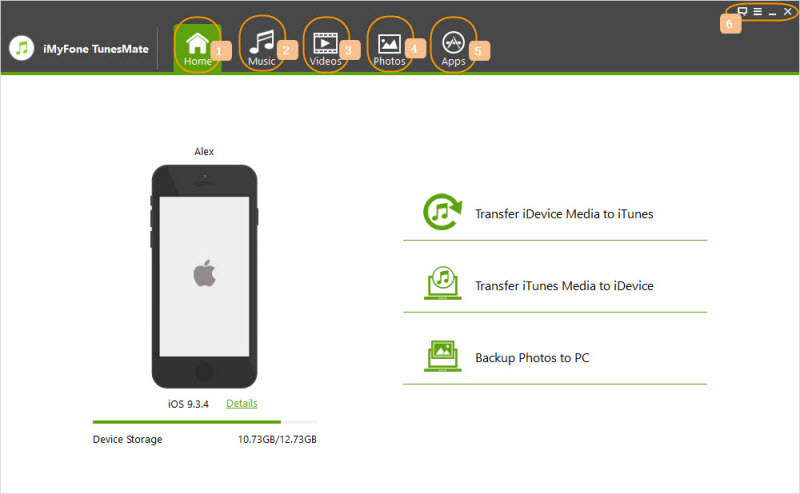 It gives you lots of options to manage your iPhone files and allows you to access iPhone without iTunes limits. Preview and access all kinds of media files on iPhone/iPad, including music, movies, TV shows, audiobooks, podcasts, playlists, photos, albums, iTunes U, etc. Smartly manage iPhone files: add new files, delete the unwanted, backup, extract, import, edit, etc. Freely transfer files between iPhone and iTunes library, between iPhone and computer, without data loss. Share iPhone purchased and non-purchased files to unlimited iDevices, even in different Apple IDs. Delete unwanted media files for free; delete unwanted apps in batch. TunesMate received many positive reviews from famous media, like Geekreply, getintopc.com, tricksworldzz.com, etc. Step 1: Use a USB cable and connect the iPhone to PC/Mac and then launch the TunesMate. Step 2: Select the tab available on top of the screen to access iPhone meida files. Music: Access and manage iPhone music, playlists, iTunes U, podcasts, audiobooks, etc. Videos: Access and manage iPhone movies, home videos, TV shows, podcasts, iTunes U, music videos, etc. Photos: Access and manage photos and recorded videos in Camera Roll and Photo Stream. Apps: Access and manage all the apps on your iPhone/iPad. Step 1: Open the PC and open iTunes on it. Get the iPhone connected to the computer using the USB cable. Step 2: You will see your iPhone under “Devices” on the left sidebar. Click on it. Step 3: Choose the file type to access the corresponding files. You can just view the iPhone files there but not manage the files. 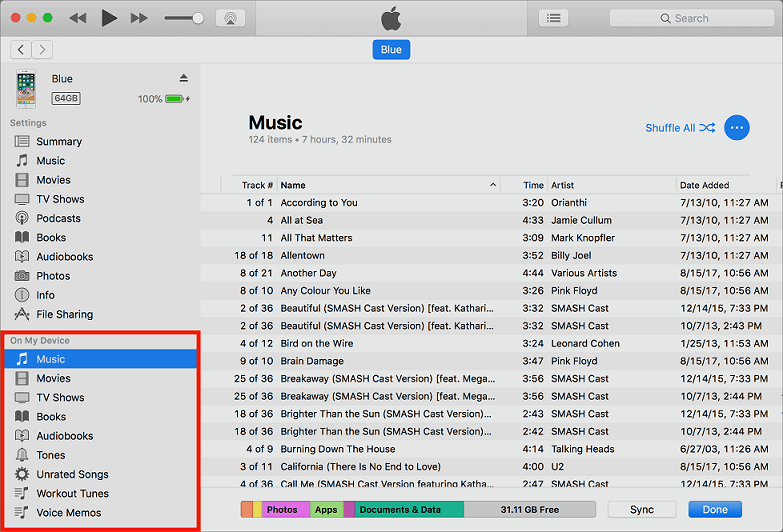 Besides, some files that are imported to iPhone without iTunes may not be detected on iTunes. Step 1: On your iPhone, go to Settings > iCloud. Step 2: Turn on the files that you want to access on computer: photos, mail, contacts, calendars, reminders, notes, etc. Step 3: On your computer, go to iCloud.com and sign in your iCloud account. Step 4: Go into the file type to access the iPhone files. You need to upload your iPhone files to iCloud so that you can access on computer. iCloud only has 5GB free space. You need to pay for it if you need more storage. It doesn’t allow you to access media files, like music, videos, etc. There are indeed several methods available to access iPhone files to computer. Few are compatible better than others some have few drawbacks as well. But, iMyFone TunesMate has proven to be a most comfortable and consistent tool for file transfer. The features of iMyFone TunesMate is the way beyond any other product. It overrules all the negatives of the iTunes and helps even to recover lost data.